The next swap is being planned for the end of November. All BEST members are welcome to participate. Check the swap guidelines for more information about how it works. These look wonderful! I'm looking forward to seeing each one individually this week. 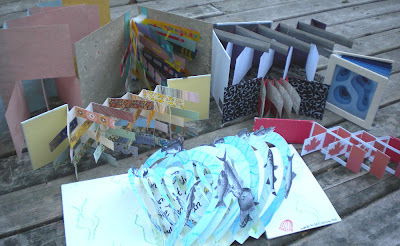 Rhonda, you do great work in organizing the swaps and presenting these on the blog! I'm disappointed I didn't get my act together on this one, but I'll try for the next. Speaking of which, will there be a theme for the next one? Thanks Laura :) We can discuss the theme thing again at the next meeting perhaps? I think we are having a meeting on the 28th... see what people think about the next one. LAST DAY FOR THE BACK TO SCHOOL SALE! Featuring a few participating shops! Featuring a Few More Shops!